Jason Pagara of the Philippines is scheduled to face the Nicaraguan boxer Santos Benavides on 10-round non-title fight on October 17, 2015 at StubHub Center, Carson, California. - Jason Pagara is ranked no. 1 boxer in the Philippines in the super lightweight division. He currently has a record of 36 wins including 22 big wins by way of KO and has only 2 defeats. Jason Pagara is ranked no. 24 in the world. Pagara won his last fight via TD victory over Ramiro Alcaraz of Mexico. 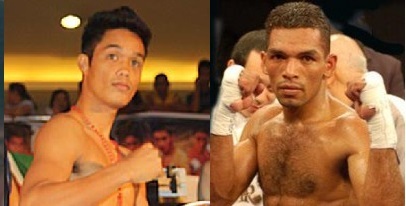 - Santos Benavidez is a hard hiitting 33 year old boxer from Chontales, Nicaragua. He has a record of 25 wins including 19 wins by way of KO and has 7 defeats. Benavidez is a former WBA World super featherweight challenger but he lost that fight via UD against Bryan Vasquez. Santos Benavidez is coming off 2 consecutive wins via KO. Jason Pagara will win this fight via 5th round TKO.